Dirtbag’s is known for great drinks and lively atmosphere, but at the center of of everything is our hearty food menu. Not just your typical bar fare, we are widely known for our huge sandwiches, hefty, juicy burgers, and healthy options. Or, if you’re just looking for something to snack on, our munchies menu can’t be beat. 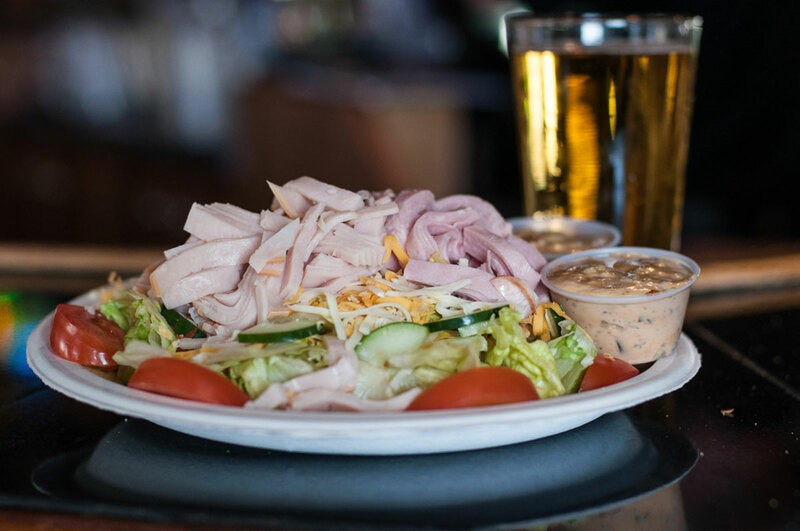 Whether you’re just dropping by for our daily lunch special, getting a big meal before the big game, or just getting that late-night food fix, Dirtbag’s has what you’re looking for. To-go and call-in orders are always welcome! Mushrooms - Zucchini - Onion Rings, or Zucchini & Mushroom Combo. Your choice, sprinkled with Parmesan cheese and our creamy, House-made Ranch. Upstate deep-fried shrimp atop a bed of Dirtfries. Served with House-made cocktail sauce. Eight sticks of deep-fried, cheesy goodness and House-made marinara. A generous portion of deep-fried strips of chicken, served on a bed of fries. Your choice of a BBQ or House-made Ranch or Buffalo side. All burgers come with your choice of Dirtfries, Spicy Dirtfries, House-made potato salad, or cottage cheese. Our classic. Made from freshly ground all-American Angus beef and seasoned by our exclusive process. Weighing in at half a pound. The very same as above with your choice of American, Swiss, Cheddar, Monterrey Jack or Provolone cheese. A veritable cheese-lovers paradise. 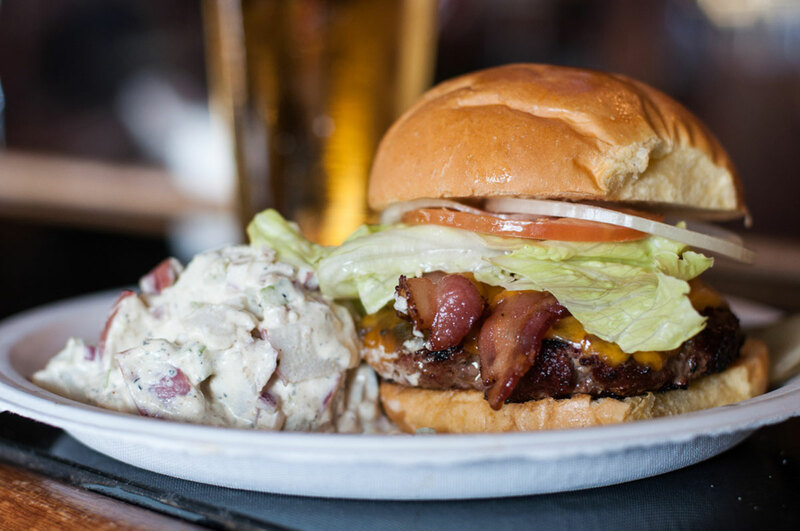 Our classic Dirtburger with the Cambridge touch — bacon and Cheddar cheese. Basted with Dirtbag’s own Teriyaki sauce while it slowly cooks. Topped with a glazed pineapple slice. Our famous Dirtburger topped with refried beans, guacamole, and Monterrey Jack cheese and your choice of sliced jalapeño or green chiles on the side. A favorite at the University of Verona. The Dirtburger covered with zesty pizza sauce and Provolone cheese. Inspired by El Paso and the Sun Bowl — BBQ sauce and green chiles atop a juicy Angus burger. Our famous Dirtburger topped with fresh mushrooms sautéed in red wine and our own special blend of herbs and spices. The lighter side of Dirtbag's. Strips of char-broiled chicken breast placed on a bed of leafy greens and assorted veggies with your choice of dressing. A wonderful combination of meats, cheeses, and fresh vegetables topped with your favorite dressing. A combo of garden fresh veggies piled atop leafy greens topped with grated cheese and your favorite dressing. A vegetable lover's delight: Guacamole on toasted wheat with onions, lettuce, red ripe tomato and slices of cucumber. Choice of Dirtfries, Spicy Dirtfries, House-made potato salad or cottage cheese on the side. Our fresh,House-made tuna salad between two slices of toasted wheat bread with lettuce and tomatoes. Simple, but delicious. All the things you refused to eat as a child ground together and served on a Brioche bun. A simulated Dirtburger experience. Choice of Dirtfries, Spicy Dirtfries, House-made potato salad or cottage cheese on the side. An eight-ounce cod filet grilled to perfection and served on a French roll. Choice of Dirtfries, Spicy Dirtfries, House-made potato salad or cottage cheese on the side. A tender six-ounce breast of chicken accompanied by freshly sliced seasonal fruits. Make it a sandwich for an additional $.50. A large scoop of our tasty homemade tuna salad served on a green garden salad with freshly sliced seasonal fruits. Grilled green chilies, onions, tomatoes and Pepper Jack cheese on wheat bread. Choice of Dirtfries, Spicy Dirtfries, House-made potato salad or cottage cheese on the side. 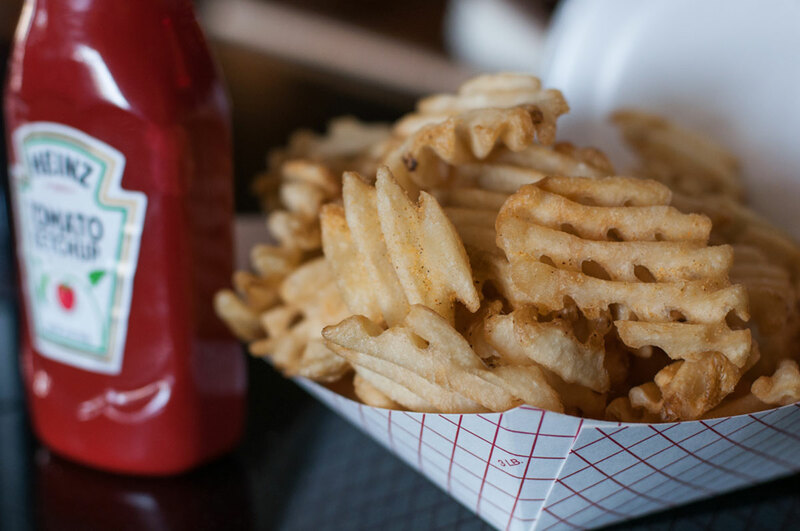 All sandwiches come with your choice of Dirtfries, Spicy Dirtfries, House-made potato salad or cottage cheese. A delicious triple-decker comprised of bacon, lettuce and tomato on the bottom and tender slices of turkey breast or ham and a slice of cheese of your choice on top. Substitute chicken breast for $2.25. Loaded sandwich with House-made tuna salad topped with Swiss cheese and tomato on toasted Rye. A deluxe grilled cheese with Swiss, Jack and Cheddar and a slices of grilled tomatoes between toasted Wheat. Thick slices of center-cut bacon combined with fresh lettuce and tomato. Served between slices of toasted Wheat with a touch of mayo. Six ounces of thinly sliced medium-rare roast beef with our House-made au-jus on a French roll. Six ounces of thinly-sliced, extra-lean ham heaped on a Brioche roll smothered with Cheddar cheese. Char-broiled, tender boneless chicken breast on a toasted Brioche roll. Accompanied with lettuce, tomato, onion, and pickle. Try your favorite topping featured on our Dirtburgers for an additional $1.25 each. 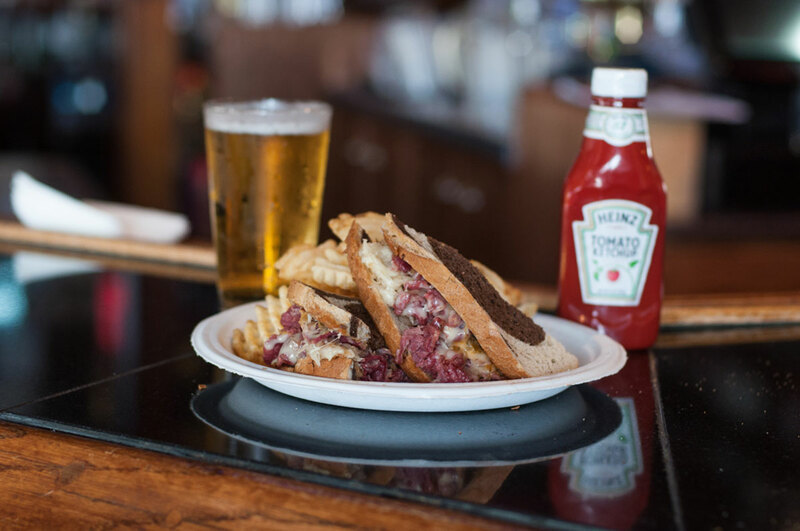 The classic sandwich with six ounces of corned beef or turkey, sauerkraut, Swiss cheese and 1000 Island dressing on toasted Rye. Melted Cheddar and Jack cheeses with mild green chilies in a grilled flour tortilla. Served with a side of House-made salsa. Add sour scream for $1 and guacamole for $1.75. Same as quesadilla with diced, tender char-broiled chicken breast. Add sour scream for $1 and guacamole for $1.75. 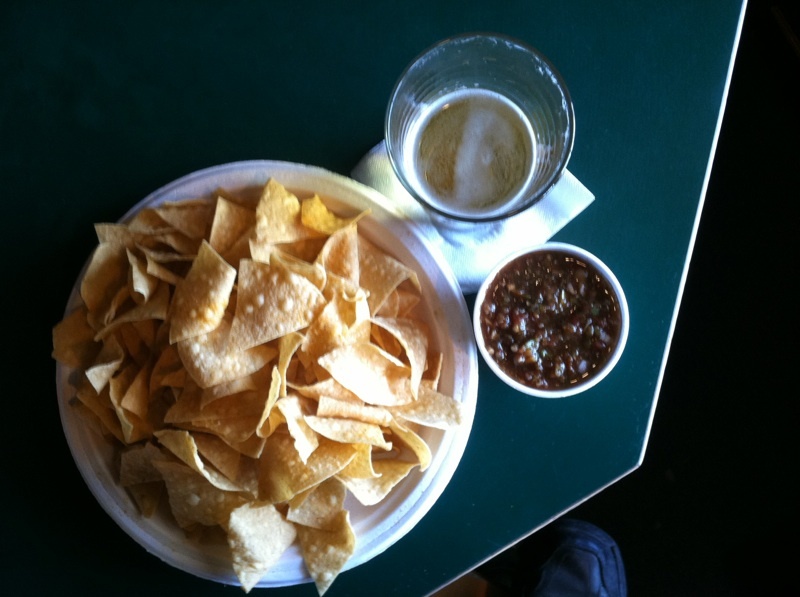 Crisp House-prepared tortilla chips piled high with refried beans and melted Monterrey Jack and Cheddar Cheese. Topped with sliced jalapeños and diced tomatoes and garnished with sour cream, salsa and guacamole. Add $2.25 to try it with diced chicken breast. Our delicious guacamole surrounded by freshly fried tortilla chips. Goes great with your favorite adult beverage.